Roth performs and records as 'Gabrielle Roth and the Mirrors', and has produced over 15 albums and appeared on various compilations, see below on Music Mosaic compilations. Longtime Mirrors regulars include drummers Sanga of the Valley (a student of master Nigerian drummer Babatunde Olatunji) and Roth's husband and producer Robert Ansell. Gabrielle Roth is a musician, author, music director, dancer, philosopher and recording artist in the world music and trance dance genres, with a special interest in shamanism. Known as the "urban shaman," she is music director of the theatre company The Mirrors. Her international institute, The Moving Center, oversees the teaching of her work through schools in New York, California, and Europe. She is currently teaching experimental theater in New York based on The Roth 5Rhythms and training others to use shamanic methods within artistic, education, and healing contexts. 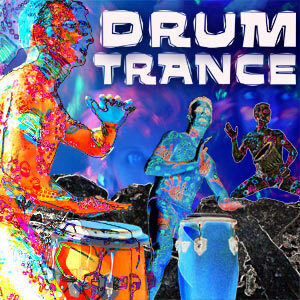 Drum music - Ready, set, letting go with upbeat natural trances from different cultures. A smorgasbord of percussion instruments and remixes to keep the blood pumping while dancing with abundance! Drum music - Extra long play album to keep you going with drums, percussion, shakers, bells and whistles. These moving rhythms will get you lost in trance inducing bliss. Make some noise, bang on something! Destress, have fun, let your hair down, strut your stuff, drive yourself nuts, go bananas. Vivacious Ethno-Trance drum music mixes vibrate from an array of percussion instruments (log, dumbeck, pony, derbuka, dhol, bhodran, frame, jun-jun, tablas, etc). Hypnotic rhythms with ancient roots in ritual ceremonies from the South Pacific, Africa, Ireland, Native America, India and other exotic regions will set your tribal fires burning! Breathe deeply. then move, stretch and embrace a rich mythical sound-journey unfurling within these tribal-music fires. Globe trot non-stop from dance to trance in contempo percussive fusion mixes of ancient instruments, kaleidoscopic musical styles from Africa, New York's underground, Europe and the Middle East - A synergic ambience with scalding desert dunes, primeval forests, tribal rituals and mystical lands of the imagination. 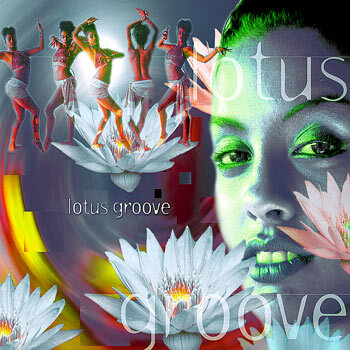 Relax and dream awake on a healing cloud of colour, drums, vocals and groove music. Float in a rhythmic dreamscape of tribal inspiration to soothe and accompany you down a river of warm ambient mixes with. Compiled from well known and upcoming artists in the worldbeat genre, this album will call your consciousness through soft, potent, ancient melodies. Pulsing world dance music spiced with exotic Eastern sounds (tablas, kora, dotar, dumbeck, clay pot, dilruba, gaida). sensual fusion with haunting vocals and modern instruments. Ride the perfume-groove with Electronic Sufi songs and timeless Indian chanting into Moroccan deserts, over Bulgarian mountains, across the great African Savannah, and beyond ancient Mediterranean ruins. A cool, hypnotic journey through an undulating sound-collage. 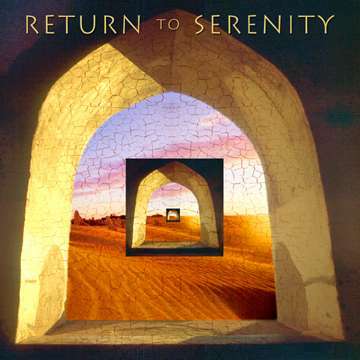 Inspiring music by Prem Joshua, Gabrielle Roth & The Mirrors, Larissa Stow, Ariel Kalma and other spiritual artists weave downtempo backgrounds with mantras to invigorate and inspire, to soothe the soul and lift the heart. Excellent for yoga, relaxation and inner peace, or chant along for an uplifting spiritual vibration with universal messages of harmony.